Redundancy is a hugely important part of a good backup regime. You never want a single point of failure, a lynchpin that can bring down the whole system By incorporating multiple hard drives into your routine, you’ll be able to preserve your data across multiple drives. In the event of a disk crash, you’re protected by two concurrent backups, rather than one. Using multiple drives for Time Machine is a great way to ensure you don’t need to worry about your data’s safety. The process is essentially the same whether you’re adding a new disk to an existing Time Machine setup or you’re started fresh with two empty hard drives. 1. First, you’ll need to format the disks as APFS (Apple File System) or HFS+ (macOS Extended Journaled). APFS is the better of the two formats, so choose that if you have the option. 2. When your disks are formatted, they’ll be eligible to be Time Machine backup drives. Before you do anything in Time Machine, you always need to see if there is a backup happening right now. If so, you should wait for the backup to complete: even after all this time, Time Machine doesn’t handle interruptions very gracefully. You can see the current status of your backup by clicking the Time Machine menu bar icon. 3. Once Time Machine is sleeping peacefully, you can connect your disks. 5. First, click the “Options…” button. If they aren’t already there, add the drives you just connected to the exclusion list with the “+” button at the bottom of the list. 6. With the drives excluded, we want to select them for backup. In the primary panel of the Time Machine preference pane, click the “Select Disk…” button. 7. This will pop open a list of your current connected drive. You’ll also see your current Time Machine drive, if any. Select the disk you want to add from the list. If you are adding more than one drive to your Time Machine setup, don’t try to connect each at the same time. We will want to create a complete Time Machine backup on one disk before we connect a different disk. 8. If you already have a Time Machine drive, your Mac will complain slightly about this state of affairs. It will do so with a warning box, asking if you want to replace your existing Time Machine backup and backup drive, or if you want to use both disks. Obviously, we want to use both disks, so choose “Use Both” from the options. 9. Now we wait for Time Machine to start. The backup will proceed normally, backing up all the Time Machine-eligible files. If you are adding two disks, now is the time to get the second disk running. 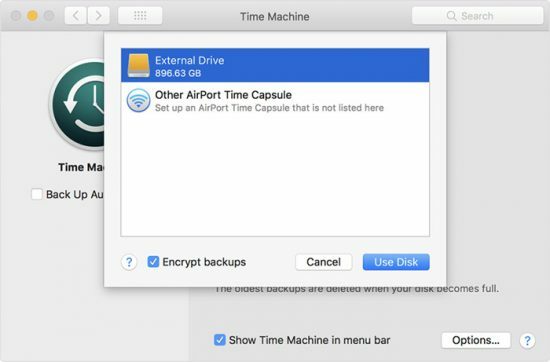 Once Time Machine’s first backup to the first drive is complete, disconnect it from your Mac completely. Attach the second drive and repeat the steps above. 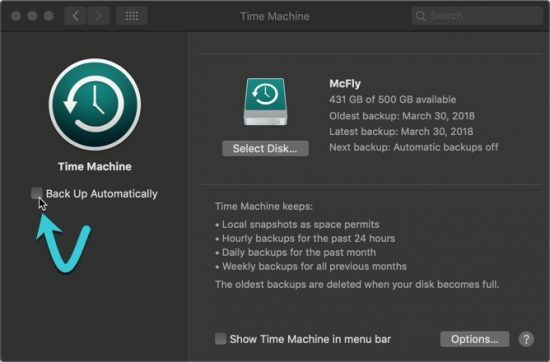 Switching between Time Machine disks requires virtually no effort on your part, but you don’t want to connect both Time Machine disks simultaneous. That doesn’t always work properly, and you might end up confusing Time Machine, which can lead to corrupted backups. Time Machine saves the backup history and status of each drive separately. That means they will both track when they were last synced and what was backed up, remaining completely separate. 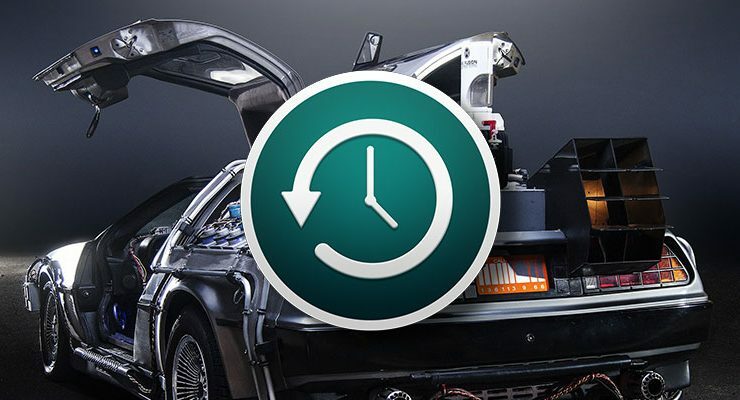 Duplicating Time Machine backups is an easy way to quickly improve the safety of your backup system. But while the best backup regime includes redundancy, but that’s not all it needs. You need multiple layers of backups to ensure that you don’t lose data accidentally. I’ve had success formatting spinning disks as APFS. The file system provides special support for SSDs, but it doesn’t lock out HDDs. Maybe you’re thinking of Fusion drives? APFS doesn’t support those at all AFAIK.